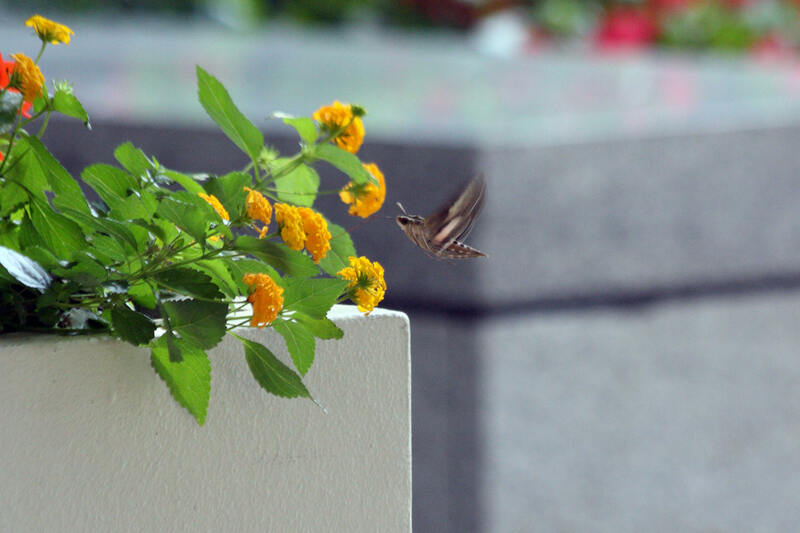 Last week for two days in a row in downtown Chicago, I saw Hummingbird Moths, also known as Sphynx Moths, with the first one being on my way to work Thursday morning in the flowering plants at 100 South Wacker Drive. Now that fall warbler migration has begun I have had my camera ready. 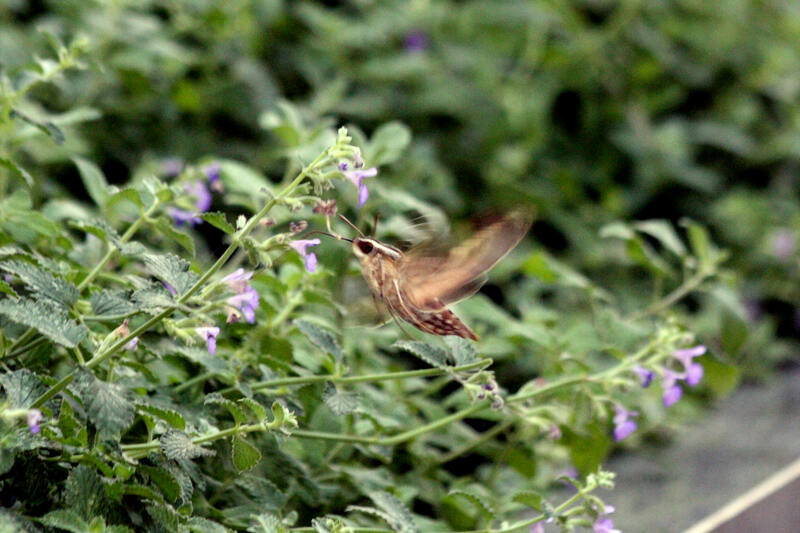 But I think even if I had to stop and put the lens on the body, this moth would still have waited for me. It seemed to respond to attention. If you know the name of this plant please tell me: it’s installed everywhere which makes me think it’s rather common and very hardy. 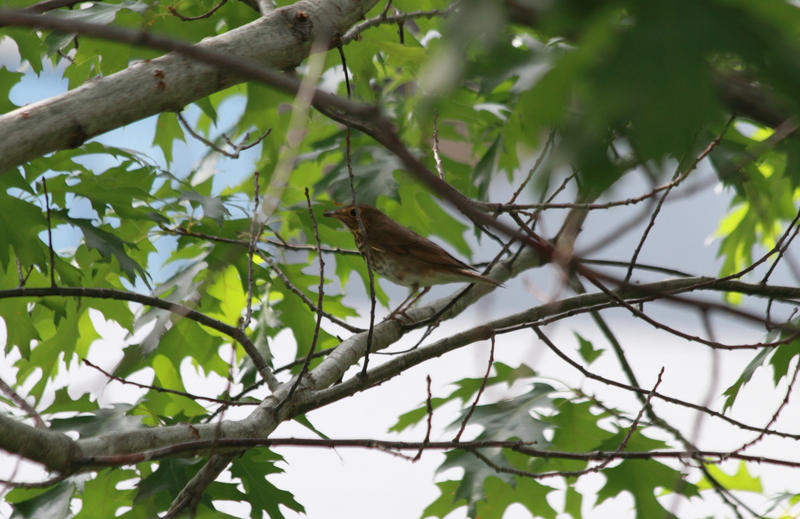 When I got to 155 N. Wacker Drive a few minutes later, I did manage to see a Nashville Warbler out in the open. 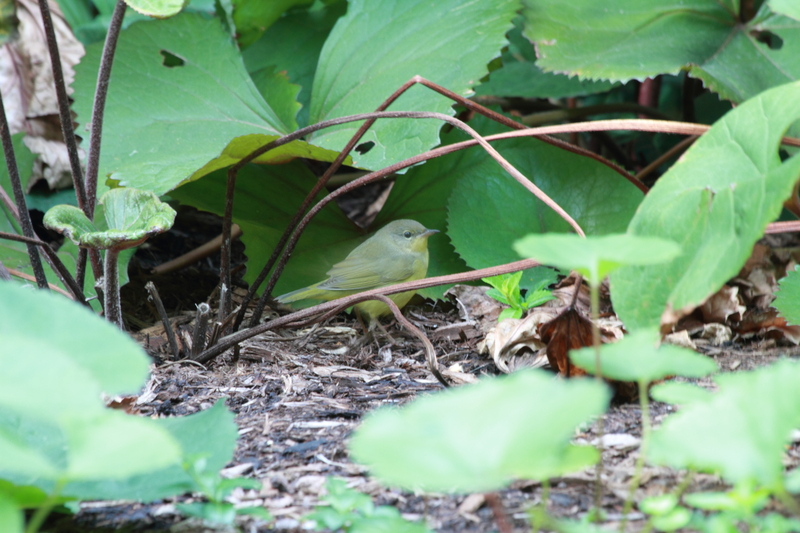 I had a female Mourning Warbler too but she was not so cooperative. 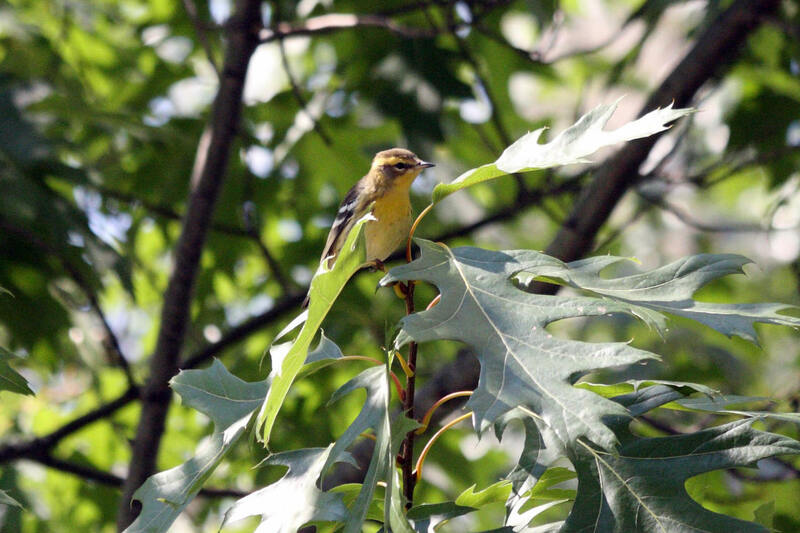 Later in the afternoon, at Lake Shore East Park, I was hearing birds but not seeing them, so I started imitating some call notes and this Blackburnian Warbler emerged to check me out. Also had a brief encounter with a Swainson’s Thrush. 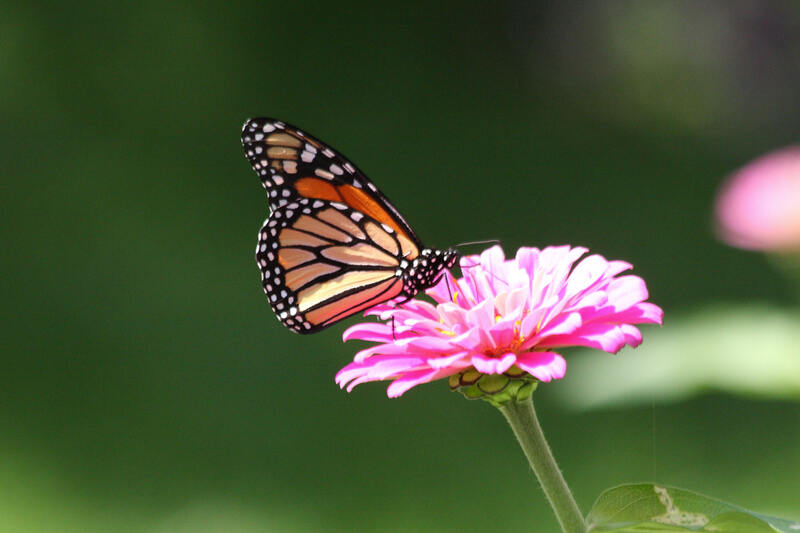 Few and far between are Monarch Butterflies. I can remember only a few years ago seeing scores of them at a time and now I am lucky to see one. I would like to see this species recover; I hope it’s not too late. 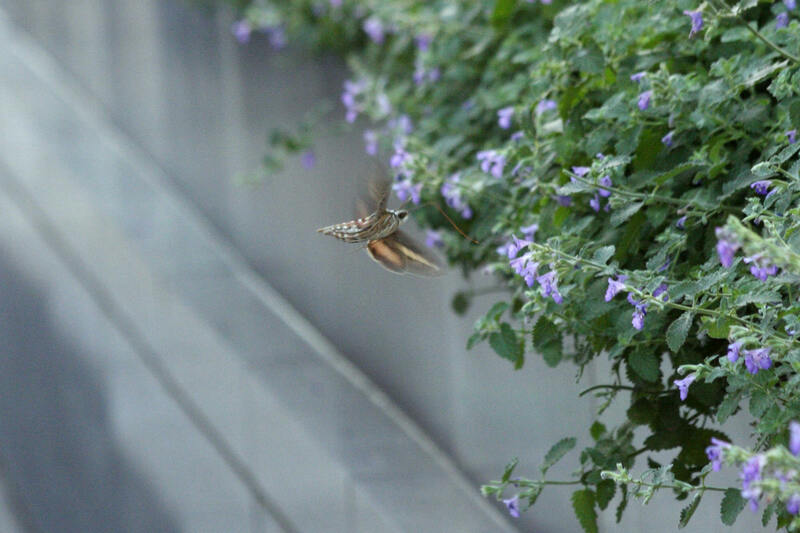 On the way back to work, at the Aon Center, was another hummer moth. This one was a bit easier to capture. Click on the pictures for an enlarged view. I think the eyes are fascinating. Indeed these moths look to me like some kind of magical made-up creatures that belong in a Pixar movie. Not that I’ve ever watched one. I’d rather see the real thing. 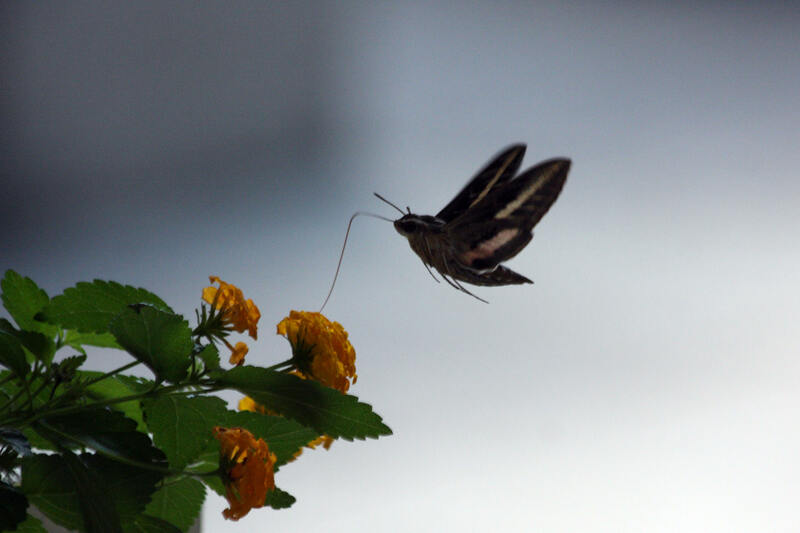 This entry was posted in birds, photography and tagged Aon Building, Blackburnian Warbler, downtown Chicago, fall migration, Hummingbird Moth, Lake Shore East Park, Monarch Butterfly, Nashville Warbler, Sphynx Moth, Swainson's Thrush, warbler migration by Lisa Rest. Bookmark the permalink. The Nashville Warbler is so beautiful! Nice shots Lisa! The monarch is a very handsome butterfly. I hope you get to see more of them. The plant looks like catmint. I have catmint planted in my yard and saw (for the first time ever!!) 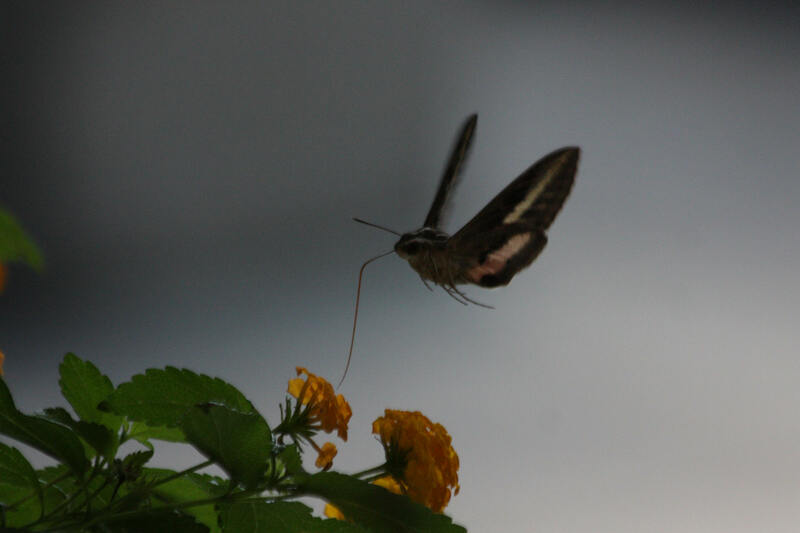 two humminbird moths yesterday. Very cool! You are right…they do seem to respond to attention. They flew all around my husband and daughter while I was taking pictures and recording them. They didn’t seem to mind that I was only a couple inches away from them. I live about 40 miles south of Chicago. Beautiful pictures!